So…I started a new alt. Two actually. On top of my already 33 Guardian. I have a level 30 Mercenary and a level 7 Inquistor/Future-Sorcerer now as well. If the Guardian and Mercenary make it to 55, then that will be 11 level 55s. I may have a problem. But I’m also really enjoying the Bounty Hunter story again, so I’m ignoring the problem. While I was on my Mercenary, what else would I be doing but PvPing? As I was PvPing, I got a Huttball match. We played pretty well, won 2-0. Two of my passes to the stealther sitting on the ledge were not complete, however, because he didn’t come out of stealth to catch the ball. He just stood there. So that’s what it’s come down to, huh? Dismissing me with “prelaunch”?!? (By the way, I was prelaunch too). 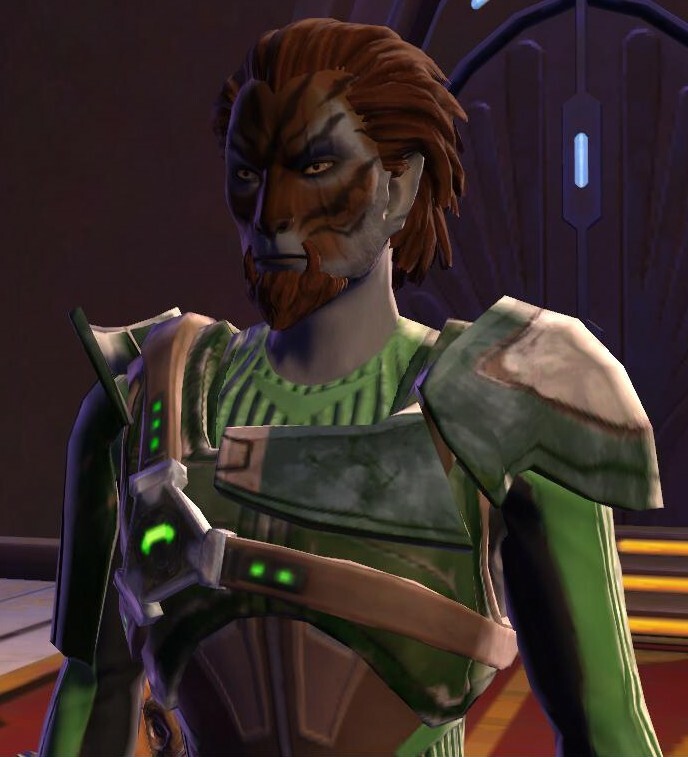 The funny thing is, I went ahead and Googled “SWTOR huttball stealth catch” just to see what he would have seen. 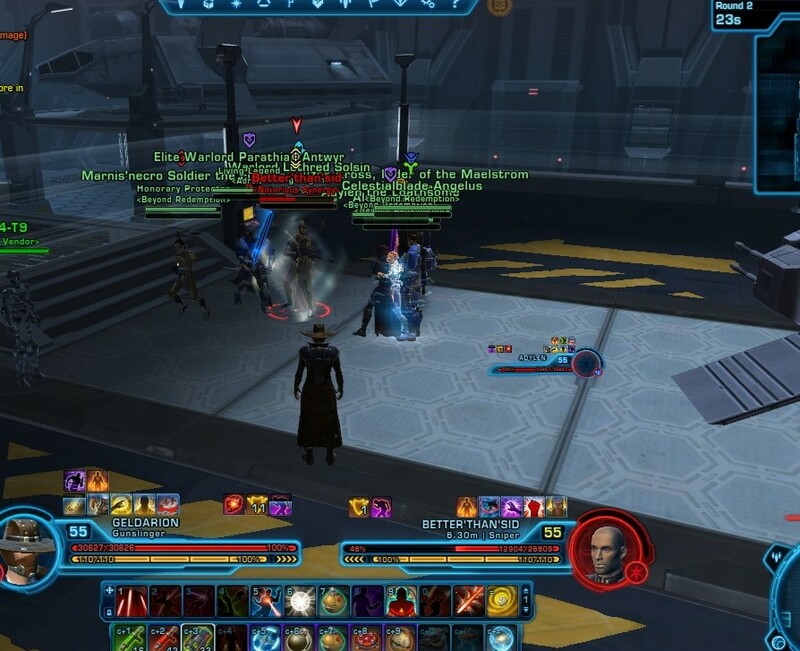 Sure enough, the first result was the Official Forums, where there were a ton of forum posts saying what I knew to be true, as well as down at number two on the results list: my article on how to catch a Huttball for Tactical Strike. Where I write with thousands of warzones of experience about how to do the only thing I do in game, PvP (not to brag, just for emphasis on how ridiculous he is for pulling the “prelaunch” card). Oh well, some people LITERALLY can’t be bothered to Google the answer. So there were two people that really irritated me this week, I guess haha. The second person was in an Arena in the Regular Queue. It was an even match, 3 DPS and a healer on both sides. The first round went poorly with us all over the place getting owned. The second match, we pulled it together, took our time, wore them down, and slowly but surely separated all the DPS from the healer individually and killed them. The third round was much the same, with the same kill order practically. We lost one DPS, and though we were slowly winning, they had almost gotten our healer down, so I did what anyone who uses all the tools in their arsenal would do. I tossed a Cybertech Stun grenade on them and let them sit so our healer could heal up. We of course won again in a similar fashion to the first round, but in /say right after the match, they started insulting me and trash talking me for using the grenade. After they were sufficiently finished denigrating my skills, saying “I guess if you can’t win with skill, then use other *crap*” (I replaced a word there), I responded that they should invest a few credits in upgrading their toolbox, as V-1 Seismic Grenades are available for 2,000 credits each on the GTN. See, I don’t see it as an unfair advantage to use something anyone can buy in bulk on the GTN. Literally, an hour of dailies can buy you a hundred of the grenades. I am Cybertech, which I picked the first day of launch and haven’t regretted it, and I didn’t switch to Biochem like a lot of people who wanted to raid. So yeah, I will use every tool I have, including my reusable grenades, and it would be stupid of people to not do the same. Finally, I wanted to tell everyone about a wonderful thing that happened on the Harbinger last night. I joined a giant PvP raid and took the fight to the Imps, and it resulted in an hour of fun for me (though some of the guys had been there for a lot longer that evening)! It was pretty dang laggy, but it was surprisingly better than Ilum was back in the day. I really enjoyed doing some actual Open World PvP for once, and I forgot how fun it is. Here’s hoping for another night next week! I am 272/1500 for kills of players on Oricon, so I need a few more of these kinds of nights! What have you been up to recently? Let me know in the comments below! Using grenades in a 55 match is fine, but I do find it smacks of abusive behaviour when using them in the sub-30 bracket. A little bit. 30+ you are sure that everyone has access, so again, fair game in my opinion.